Keep up the good work, Laura! 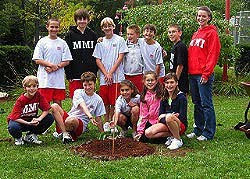 Your students look like they enjoyed the experience of planting the seedling. I promote the planting of ginkgoes grown from seeds to increase the genetic diversity of this relict species.